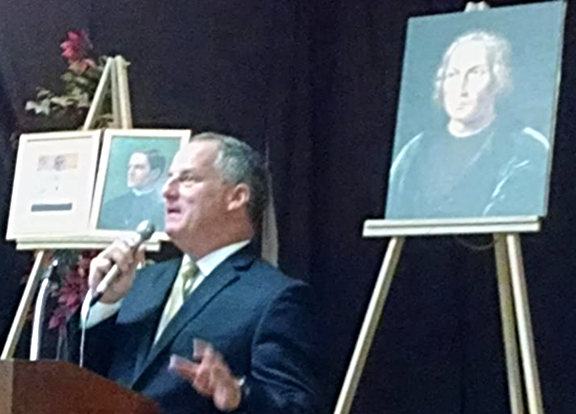 In a major speech to the Knights of Columbus, Oxnard Mayor Tim Flynn issued a passionate call to public service for everyone in the community. Asking “What’s going to become of this great country of ours, and which direction are we heading?” the Mayor tossed down the gauntlet. Mayor Flynn offered a challenge to government employees as well. “Most government employees are honest, dedicated, committed, and hard-working, yet the public doesn’t feel that way.” “The focus is on those who have egregiously exceeded base salary. This does not bode well for public service,” Mr. Flynn warned. Acknowledging his father who was in attendance, he recalled the long-time County Supervisor John Flynn ” working sixteen hour days while raising six kids.” “Are public officials active in church, non-profits or a company that serves the public?” he asked. Mayor Flynn finally recalled the influence that John F. Kennedy had on his parents and him, instilling a “sense of altruism and optimism” that led him to seek a life of public service to “get things done”. 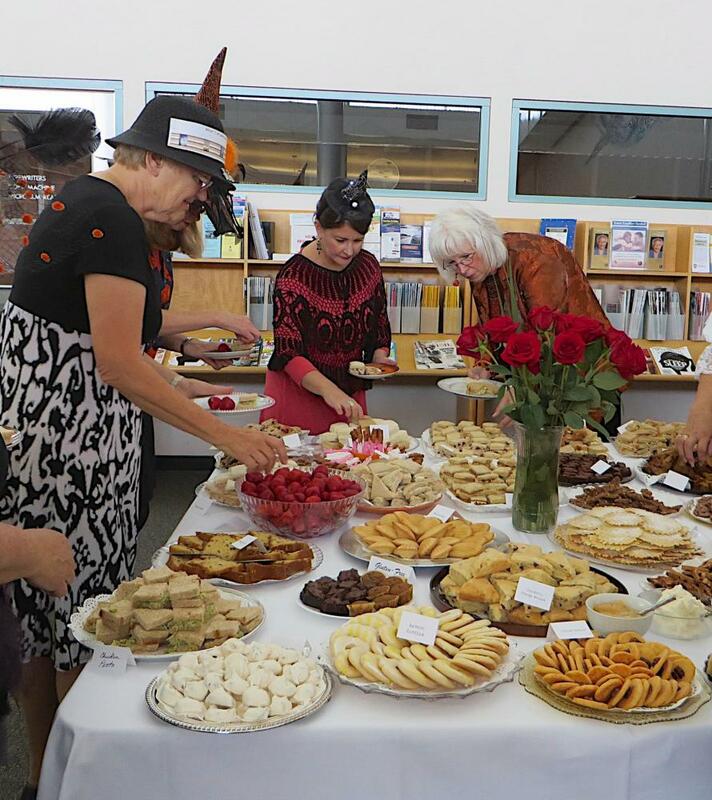 The Friends of the Library Board is pleased to report that receipts for the 14th Annual Victorian High Tea (invitation only) which included seat ticket sales (@$30) and the two drawings ($10 tickets and 6/$5 tickets) broke the all-time record this year. JoAnn Van Reenan made a very significant deposit into the FOL checking account to be used to support the various programs we offer at the Prueter Library. In addition, the number of guests was the highest ever (140 men and women) but because of the additional space created by removing several stacks on the library floor, we all enjoyed plenty of elbow room and easy access when we walked between our tables to get food or to check out the phenomenal creativity of our hostesses. The one thing that sets the FOL Victorian High Tea apart from all others is the food — the quality, variety and generosity are unparalleled anywhere, and explains, in part, the popularity of our invitation-only event. A special thanks has already been extended to our inspired chefs by the guests who either piled their tea plates high or partook of seconds and even thirds. The two food tables actually groaned under the weight of all those delicious bites of baked goods, finger sandwiches, fruit, and candy. Kudos and credit also goes out to our hard-working board members as well as our volunteer hostesses (Bette Alburtis, Amy Arroyo, Heather Behrens, Donna Breeze, Veronica Centeno, Carol Chapman, Marian Drabkin, Natalie Ferentz, Bonnie Goldstein, Jackie Griffin, Debbie Hernandez, Fran Hruska, Edna Ingram, Beverly Kelley, Marietta King, Miriam Kozlovskis, Colleen McCarthy, Bernadette McDowell Carmen Nichols, Susan Nielson, Mary Neil, Cathy Penprase, Ellen Rosen, Robin Sills, Cathy Thomason, JoAnn Van Reenan, and Charity Winiarski) who made this event such a huge success. 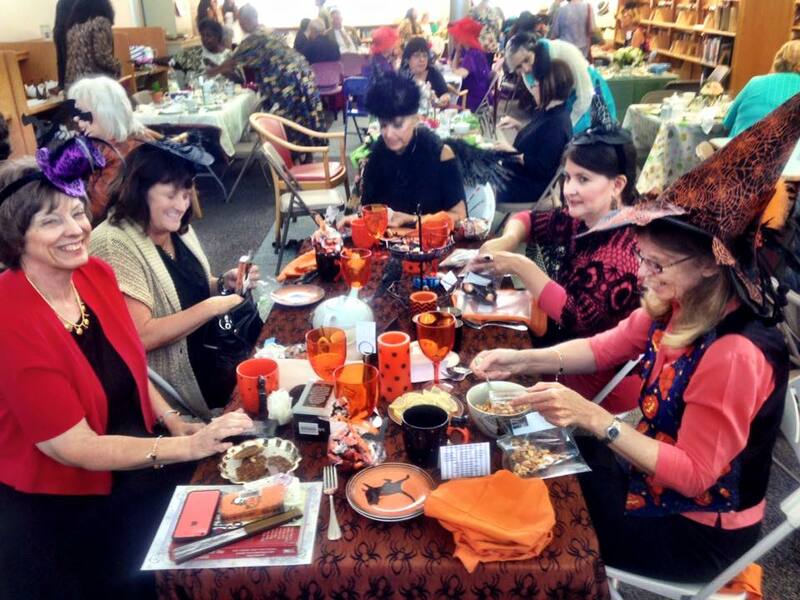 Results of the Voters Choice for Best Table: Colleen McCarthy (Halloween Theme), Debbie Hernandez (Golden Elegance) and Amy Arroyo (Mad Hatters Tea Party). 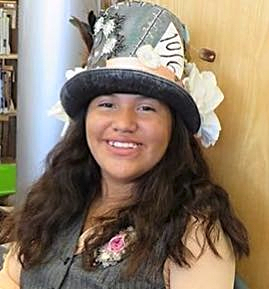 Results of the Voters Choice for Best Hat: Amy Arroyo, Carol Porto and Christina Weiss. 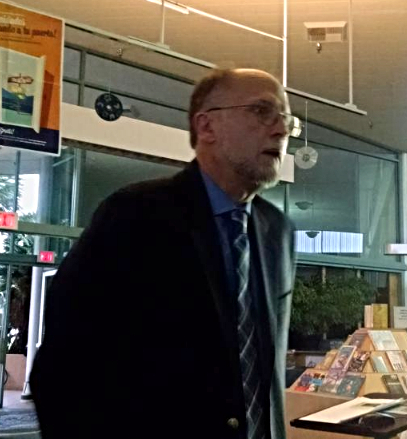 In a presentation at the Ray D. Preuter Library, Gerard Kapuscik of the Ventura County Watershed Protection District explained the County’s efforts to prepare for a possible El Niño event. While an El Niño does not necessarily guarantee heavy rains, sooner or later “there will be a flood,” Kapuscik warns. With 80% of flood control infrastructure over 40 years old, the VCWPD has been engaged in a vigorous program of maintenance and repair. Nonetheless, there is not enough funding to bring the system up to optimum condition. The pumps at the end of the Bubbling Springs channel are owned by the Watershed Protection District. During the El Niño event of 1998, two of the three pumps failed to operate. Since that time the pump station has been completely rebuilt. Kapuscik expressed confidence that they would be up to the challenge. The Honorable Dennis McGinn, Assistant Secretary of the Navy for Energy, Installations and Environment recently toured Naval Base Ventura County (NBVC) as part of a West Coast inspection tour. In brief remarks at the SeaBee Museum, he emphasized the importance of NBVC to the Naval mission as well as the environmental importance of the surrounding wetlands. Local author Beverly Merrill Kelley will receive the second People Making a Difference award from the Port Hueneme Historical Museum Commission at the Museum, 220 North Market Street, on November 14 at 11:00 AM. Dr. Kelley will present “A Love Letter to Port Hueneme” referencing some of her columns from the Ventura County Star. In addition to her two decade career as a newspaper columnist, Dr. Kelley founded the Communication Department at California Lutheran University from which she retired as Professor Emerita. She began KCLU-FM as well as iCLU, the student on-line streaming station. 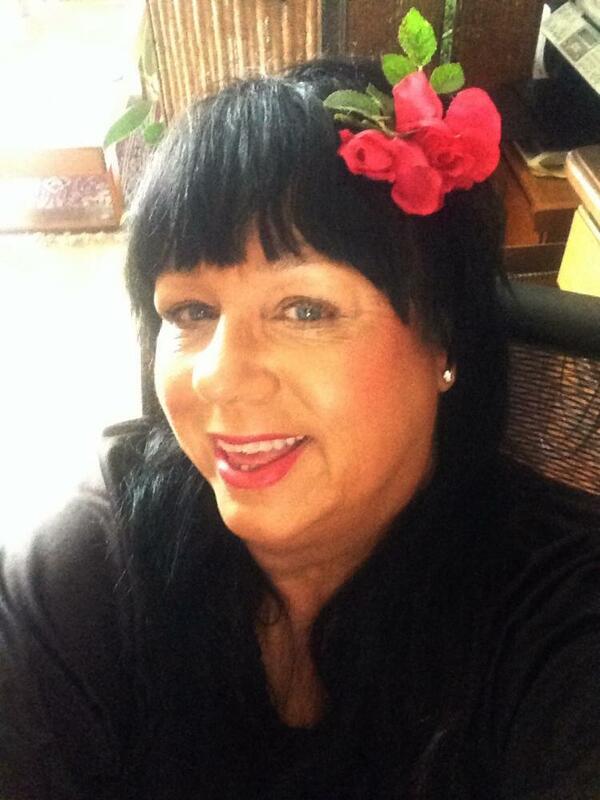 Beverly Kelley is past president of the Friends of the Ray D. Preuter Library. Just got back from the Antelope Valley. We drove out to Littlerock on the Pearblossom Highway for a date shake at Charlie Brown Farms. It was a perfect day for a drive, hot as hell and crystal clear, and the air in the desert was so dry it was enervating. Sweat evaporated off the skin instantly, giving the illusion of a chill, and we touched fingers and jumped at the static spark. The sky was a perfect blue, the wind promising fire, and off in the distance the Grapevine burned, a billow of smoke, a brushfire burning over itself, dying. The 14 is such a gorgeous run, all that maddening geology, layer upon layer, millions of years of time bent into ridiculous angles. There’s one layer that must be ten, even fifteen feet thick of rounded rock and rough gravel cemented into conglomerate. Sandstone above and below. Even whizzing past at 75 mph I was awestruck at the violence in it, the tale of an atmospheric river of Amazonian proportions that one wet winter millions of years ago filled this long dead river valley thirty feet deep in land scoured roughly off the surrounding hills. If anything had lived in that river before, it was dead then, gone, washed away or buried. The debris and stones and hilltop soils remained, and were buried by sand left as the river, renewed, coursed its lazy way above, shifting with the season and laying down sand in fractions of inches. It hardened into sandstone that, like its equal below, trapped the layer of rough conglomerate. More layers–sandstone, shales, some lesser flood debris–are laid down slowly overhead, hundreds of feet thick, and eventually the pressure compresses over thirty feet of flood debris into its current compacted ten. It’s cemented now, like a badly mixed concrete, full of rocks that tumble out in the rain. But even from down here on the highway it’s an impressive sight, one year’s worth of sedimentation, one rainy season really, perhaps even just a few day’s worth, compacted into ten or fifteen rough feet, between who knows how many centuries of hardened sand above and below it. Uplift and seismic pressure–the San Andreas Fault is just behind the Sierra Pelona that we’ve been driving through–have left the tale of this deluge in a sheer rock wall a hundred feet above us. Nothing sits still in California, nothing stays in place a billion years as in Australia. There are perfect fossil beaches in the outback billions of years old, while an hour north of Los Angeles there is bottomland a few million years old now high in the Sierra Pelona with the hawks and circling vultures. I drove past, quietly awestruck, and as the rock disappeared in the rearview mirror I thought about the atmospheric rivers to come, and alluvial plains full of homes on streets full of water. Are Ports Open to Cyber Attack? Coast Guard says security efforts are ongoing, but GAO expresses skepticism. Missiles launched from Caspian Sea hit Syria. Texas’ version of JLUS process similar to Ventura County effort. If you enjoy lots of vocal harmonies, smooth memorable melodies, and uplifting messages of faith and love, you will enjoy David Blasucci, and special guests, The Melvin Doo, and the songs from David’s new album, I Will Surrender, that was just released Oct. 6, 2015. David’s album includes a compilation of soulful, heartfelt original songs as well as a few covers sprinkled in. Join us at 5pm on Sunday, November 1st for some beautiful music and delicious appetizers! 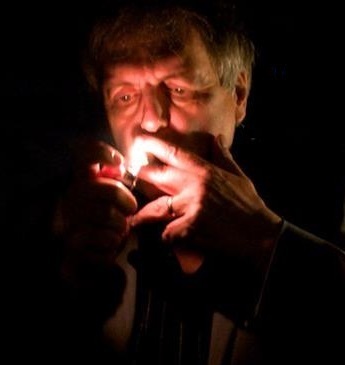 Born in Chicago, Illinois, David has been involved in many different aspects of the music business. As a guitar player and vocalist, he has toured with artists such as Bobby Kimball (TOTO) and Bo Didley, as well as bands like the Coasters and the Drifters. He has opened for acts such as Rod Stewart, Hootie and the Blowfish and the Eagles’ Glenn Frey. David made his big screen debut as a member of the New Main Street Singers in the Christopher Guest comedy, “A Mighty Wind,” starring Eugene Levy and Catherine O’Hara and also appeared on the Academy Awards with Eugene and Catherine as they performed their Oscar nominated song, “A Kiss at the End of the Rainbow.” David was a featured musician on the Mighty Wind soundtrack and was recognized by the National Academy of Recording Arts and Sciences for his guitar and vocal work on the soundtrack. The title track won a Grammy Award for Best Song in a Motion Picture. David also appeared in the Christopher Guest comedy, “For Your Consideration,” and is making an appearance in Guest’s new film, “Mascots,” which begins shooting this fall. The Beach Cities Neighbors and Newcomers Club, (BCNN ) is a group of active women of all ages who live in Ventura, Oxnard, or Port Hueneme and enjoy activities such as hiking, bridge, dining, wine outings, reading, mah jong, cooking etc. For more information, please come to our monthly meeting on November 4, 2015 from 9:30 AM to 11AM… Meeting will be held at the Ventura Museum Pavilion located at 100 E. Main Street, in historic downtown Ventura No charge for meeting and no reservation is required. Coffee or Tea is available at a nominal charge of $1.00.